Developed in Europe, the Bosch Compress 3000 is an air to water heat pump. This means that it uses the heat in the surrounding air to produce hot water in your home, rather than using electricity to perform the same task as standard electric storage systems do. What’s more, it features smart controls that enable you to set it to maximise savings while still providing you with all the hot water that you need on a daily basis. In tests, it has been shown to reduce domestic energy usage by as much as 65%, resulting in significant savings for homeowners who invest in one of these pumps. While you might think that an air to water pump would only work well in tropical climates, you would be wrong: the Bosch Compress 3000 heat pump is designed to operate efficiently in colder climates too so even when the sun is not shining, it will be able to meat your hot water needs. 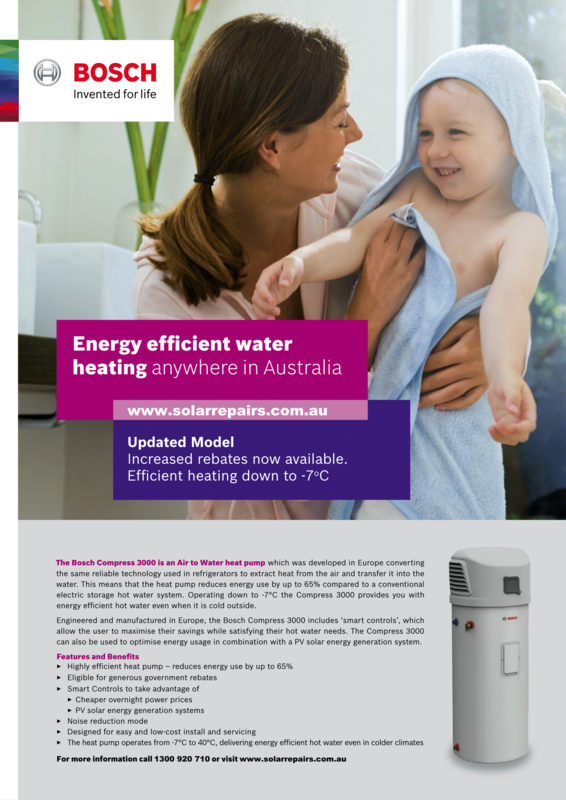 Simple to install and easy to use, it could make a big difference to your annual utility bills. 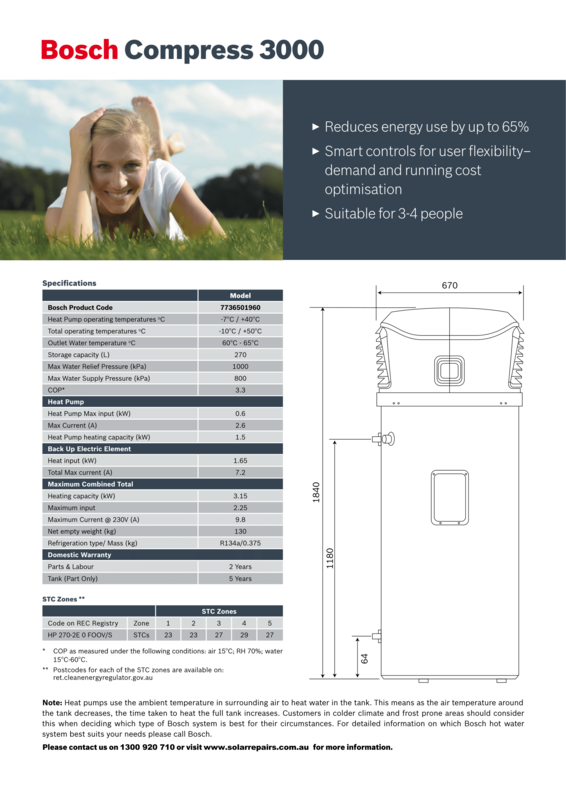 For further information, click below to download our PDF file on the Bosch Compress 3000 heat pump.